Small - $20.99 Medium - $20.99 Large - $29.99 Only 4 left! All-over graphics of armor details and 3 dimensional padded "armor"
K-2SO just isn't quite like the other droids in the Star Wars universe. Give old C-3PO your backpack and he'll gladly carry it without much fuss (he might make a whiny comment or two before obeying). Tell R2-D2 to go open a door for you and he'll chirp a few cheery beeps as he nonchalantly rolls over to the door. K-2SO is more likely to drop your backpack on the side of the road, because he doesn't feel like carrying it. If you ask K-2SO to open a door for you, he'll tell you to open it yourself. But then, why shouldn't he be rebellious? He's a part of the Rebel Alliance these days! 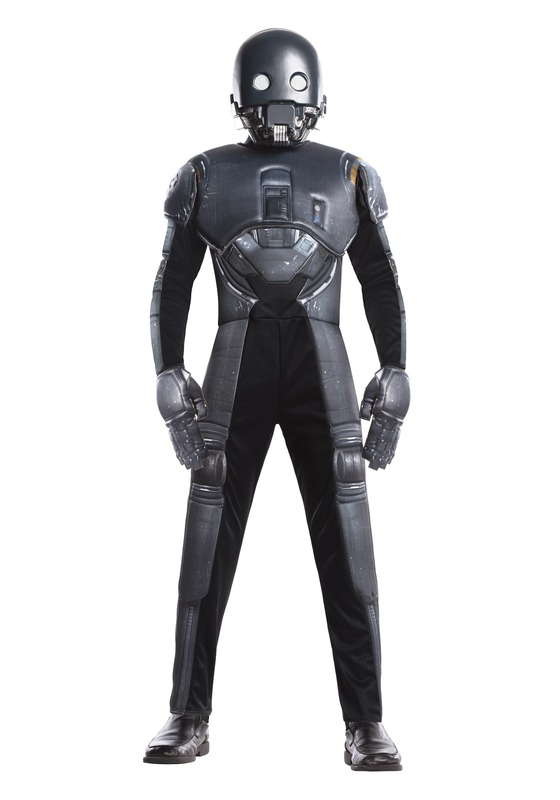 Of course, K-2SO owes his unique character to the amazing on screen performance of Alan Tudyk, but we think your child is ready to do a great impersonation of the Rogue One character. 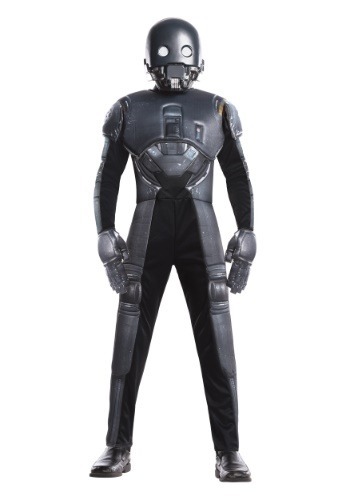 Getting the look will be easy with this Rogue One K-2SO costume. The outfit comes with a polyester jumpsuit that has attached foam pieces that will make your kid look like a real deal. The included mask is molded into the shape of the K-2SO's cold, metallic face. Once your child has the whole ensemble on, he'll be totally ready for any kind of mission against the Galactic Empire. Just be wary, since he might not want to take orders from you unless you start dressing like Cassian Andor. (Side note: we think you'd make a fine intelligence officer in the newly formed Rebel Alliance).